Start with the right team; work with the only Realtors® in Metro Detroit who specialize in new construction homes. 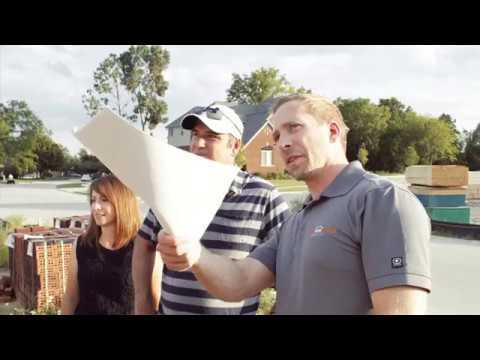 At New Home Experts®, we simplify a complicated search process and bring hundreds of new construction homes together in one place—allowing you to browse new homes with ease. No more jumping around between builder websites, or wondering what homes you're missing out on. Once you are ready to start looking in-person, our Realtors® provide expert guidance, helping you work with your builder while paying attention to details often overlooked by typical resale agents. We are on your side throughout the search, build, sale of your old home, and beyond. Best of all, the builder pays our commission! When it comes to customer satisfaction, our ratings across Google, Zillow and Facebook rank us at the top of our industry. Simply put, people who work with us value the service we provide and want to work with us again. Check out the videos below, and scroll through our client testimonials. Or, click the embedded links above to go straight to the source! Lou came into a difficult situation. Our house was on the market for 70 days with no offers and we were still trying sell in the slowing fall period. He was very easy to work with. He answered our questions quickly, and informed us immediately of any developments as they arose. He ended up selling our home in two days. Thanks Lou! If you're thinking of selling or purchasing a home call Jeff at New Home Experts Realty. It'll be the best decision you'll make throughout the process. Lou with NHE was really great to work with. He didn’t flood our email with every listing available, he understood what we wanted and honed in on our needs He then present hand selected homes for us to view. He was also very helpful in navigating through the purchasing process of our new home and the sale of our previous home. He worked very diligently with the seller’s agent, the title company and the mortgage company. He was also very resourceful in determining the appropriate value of the home we purchased and positioned us well when making an offer. Lou and Jeff were great to work with! They knew our situation was not of an urgent matter and worked with us for over 2 years from when we first got in contact with each other. Not only did they help us find our new home along with the sale of our old home, but they were a great resource to help guide us through the whole process. We used their knowledge to guide us in decision making and industry standards from start to finish. We felt extremely comforted knowing they were working with and for us, They made the whole process as smooth as it could be. We worked with Lou at NHE and he was wonderful to work with. We went with the new build process, which we had no experience with. Lou was a great help with everything from looking at floor plans, picking out options to the finance process. Lou made looking at homes fun for us. We always enjoyed his company! We have already recommended him to friends and will continue to recommend our friends and family to NHE. Thanks Lou we are happy we stumbled upon NHE!